Product #6343 | SKU 1122919 | 0.0 (no ratings yet) Thanks for your rating! 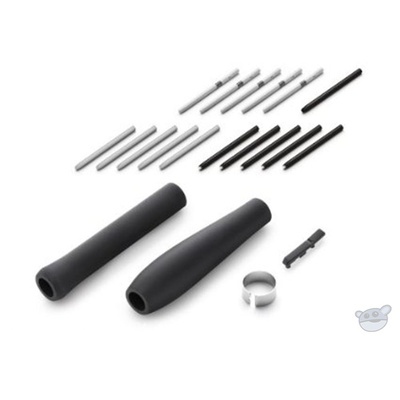 The Intuos4 Pen Accessory Kit from Wacom is a bundle of spare parts for use with the Intuos4 Grip Pen. Intuos5, Intuos4, Cintiq 21UX (second generation DTK2100 only), and Cintiq 24HD only. This will not work with pens from Intuos3, Intuos2, Intuos, or Cintiq 21UX (DTZ2100).